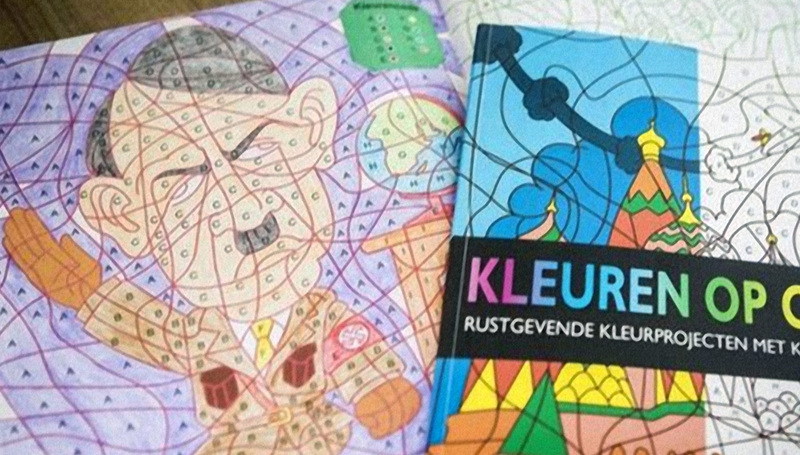 A coloring book featuring Hitler among landscapes and other historical personages was removed this week from sale in the Netherlands. The book "was produced in India and it is remains unclear why Hitler was included," reports the BBC. The Dutch retailer was only alerted after the book had gone on sale and shocked parents began posting comments on social media. One parent posted an image of the page with the caption: "Nice, your colouring book!" Another customer called it a "disgrace" on the company's Facebook page. In previous books, like the strange and cinematic Big Questions, Anders Nilsen has used his gorgeous pen and ink, stipple, and hatch technique, amidst generous white space, to create surprisingly dense and dreamy worlds. 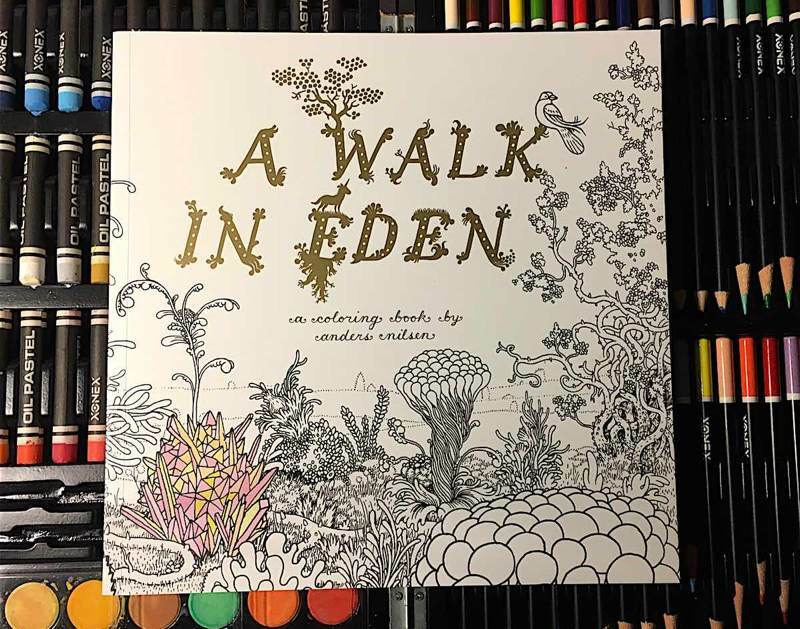 In A Walk in Eden, he builds a wonderful narrative backdrop, an abandoned Eden, and invites us in to finish it with “magic markers” and our undivided attention. But this isn’t any Eden you’ve imagined or heard of, this is a tripped-out surrealist dream-Eden if drawn by Dali, Ernst Haeckel, and kiddie-show cartoonists (maybe after a little bump of ether). Over the pages, the scale of what you’re looking at, from the seemingly diatomic to full-size flora and fauna, changes until you feel as though you’re really examining this world in a unique and thorough way. 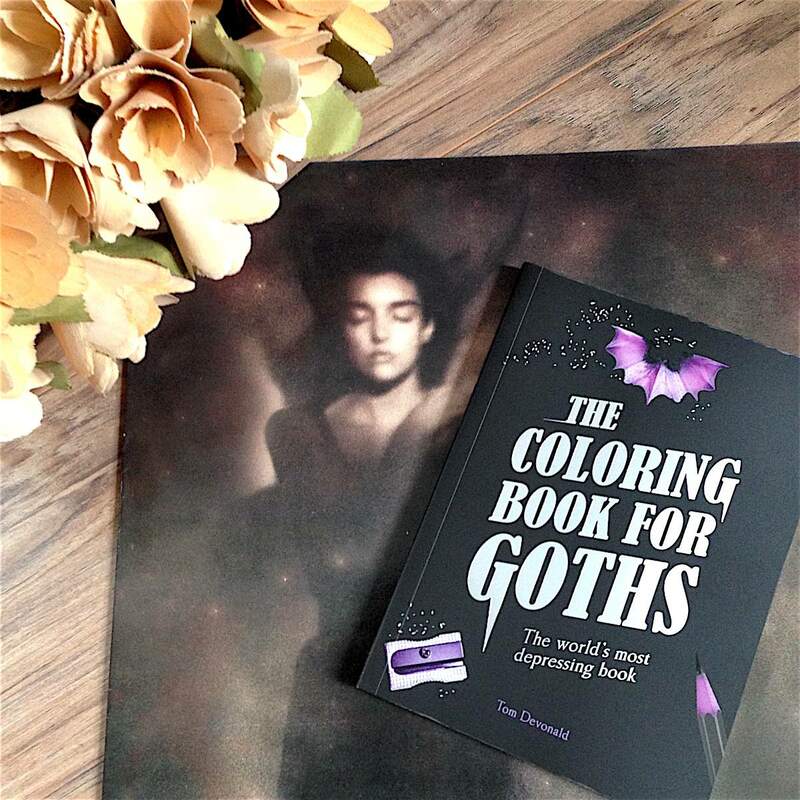 The book is really engaging and wants to tell you its stories, as-is, but I can only image how much richer it becomes after coloring it in yourself. The adult coloring book is all of the rage these days and I, for one, am a fan of this perhaps shortlived, gimmicky genre. A Walk in Eden takes the genre for a stroll in a very fun and promising direction. And like any coloring book worth its bold outlines, it was hard to get through this without wanting to grab my Crayolas, stick my tongue out like a five year old, and start coloring. Over the past few decades the dynamic duo of legacy comic book companies, Marvel and DC, have introduced hundreds of new characters. Most have failed to catch on (sorry, Adam-X, the X-Treme! ), and while recently many new characters have garnered acclaim and small cadres of devoted fans, the new Ms. Marvel and Prez have yet to become the next Wolverine. 2016 has seen two major breakthroughs that may pave the way: Marvel’s Deadpool and DC’s Harley Quinn. Both were created in the 1990s and have suddenly become the superhero equivalent of rock stars, with T-shirts and tchotchkes available at every Target and Hot Topic in America. One of them even has their own make-up line (I’ll let you guess who). My dad in his 70s now knows these characters, which I find equally amusing and eye rolling. A tangle of vines pushes its way across a trellis over two chairs. Dangling birdcages squeak in an imaginary wind as their inhabitants sing softly. Further in, a deer prepares to leap off a page filled with leaves and acorns falling to the ground, and a frog sits alone, perhaps contemplating jumping away. I have never been much good at drawing; my stick figures resemble sticks far more than they do figures. However, I do love to color, so you can imagine my delight at receiving a portable coloring book for the holidays. 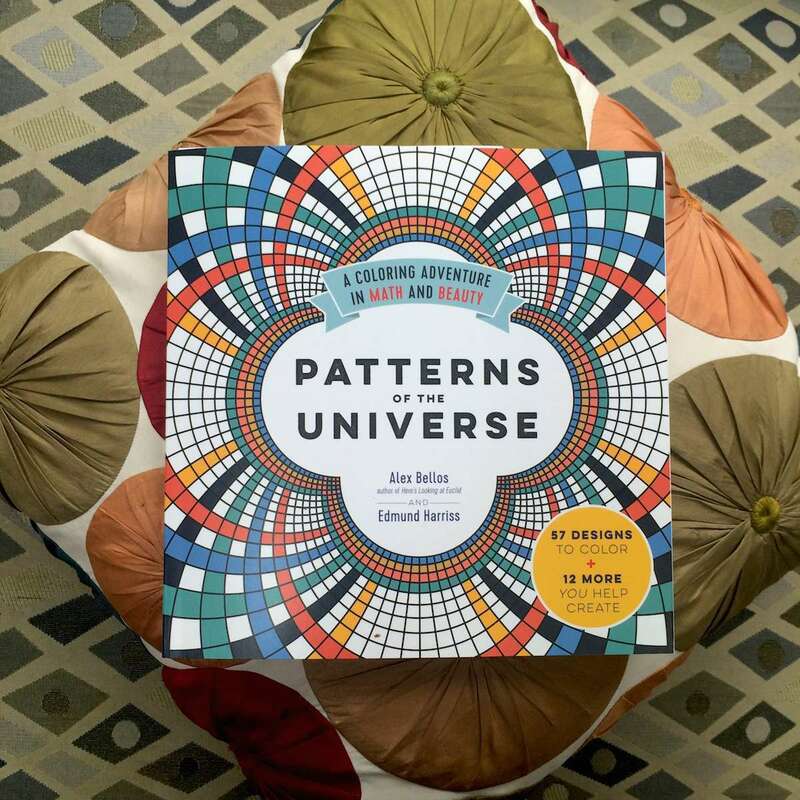 I’ve already reviewed a few adult coloring books for Wink and thought I had moved on, but then Patterns of the Universe came my way and I couldn’t resist. When I was editor of Craft Magazine we used to cover projects that involved mathematical crafting, such as crocheting a hyperbolic reef. Although mathematical coloring is a lot simpler, it’s just as fun to see what kind of beauty will emerge when you play with patterns, numbers, and chance. 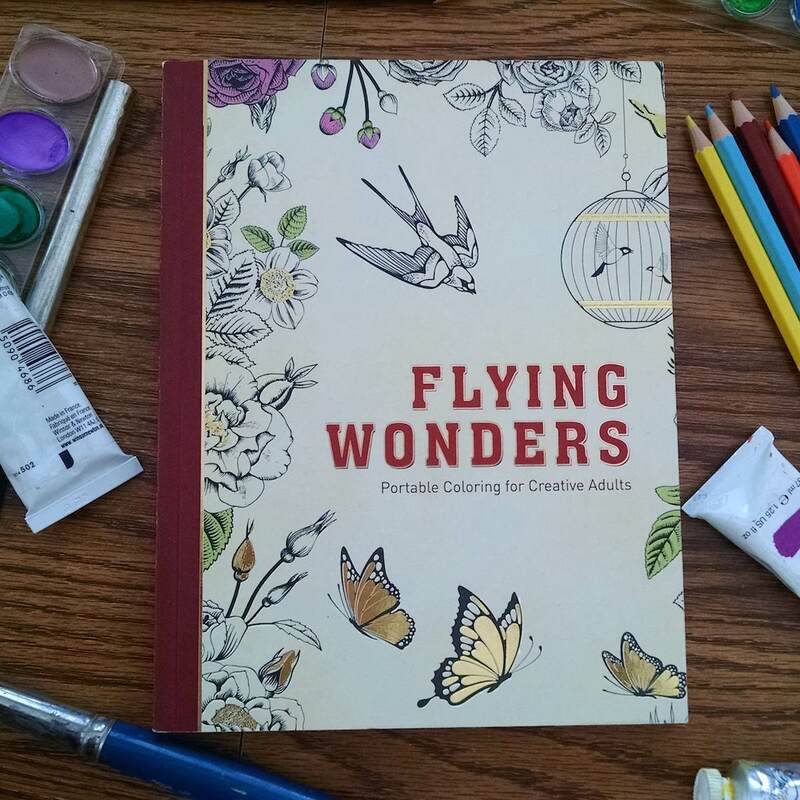 This coloring book is split into two sections: Coloring and Creating. The first offers your basic color-in-the-lines patterns, but they’re all math based and come with a short description to help you appreciate what you’re beautifying. The second Creating section includes simple instructions on how to create patterns, mostly through randomness, such as Coin Hex, which asks you to choose for your hexagon pattern only two colors (but I chose three). Then you must toss a coin (or number generator in my case) to determine the color for each hexagon. The point of an activity like this? Even though your colored pattern is random, “stare at it and you will see patterns. It’s a reminder that we find randomness very difficult to comprehend.” Very difficult indeed. I'm only one-quarter of the way through Coin Hex and already I see all kinds of patterns popping out of the page. 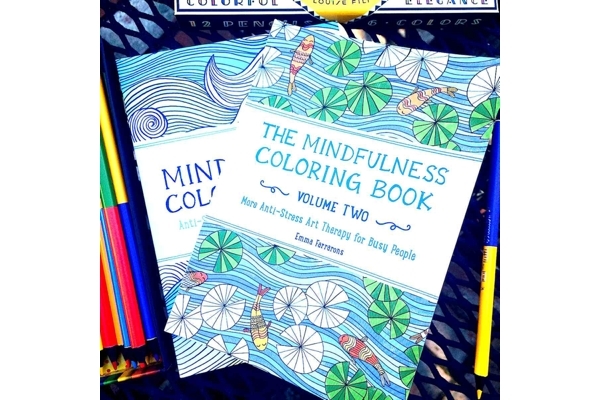 The Mindfulness Coloring Book came out last January by London-based illustrator Emma Farrarons, and it immediately sold out and became a national bestseller. I think any book with the word “anti-stress” in the subtitle has an excellent shot at success, but Farrarons’ coloring book for adults is also appealing for its pleasing, just-simple-enough modern designs as well as its smaller size, which makes it less daunting than a lot of the other popular adult coloring books out there. Last month Ferrarons came out with a second volume to her book – same size, seem feel, different designs. I’ve spent a couple of family nights coloring while my daughter crafted and my husband read, and I have to say, Farraron is right about the anti-stress angle. Plus it’s been a lot of fun. Can you remember the childhood zen of scribbling with crayons atop the outlines of your favorite superhero? Ever wish you could go back? 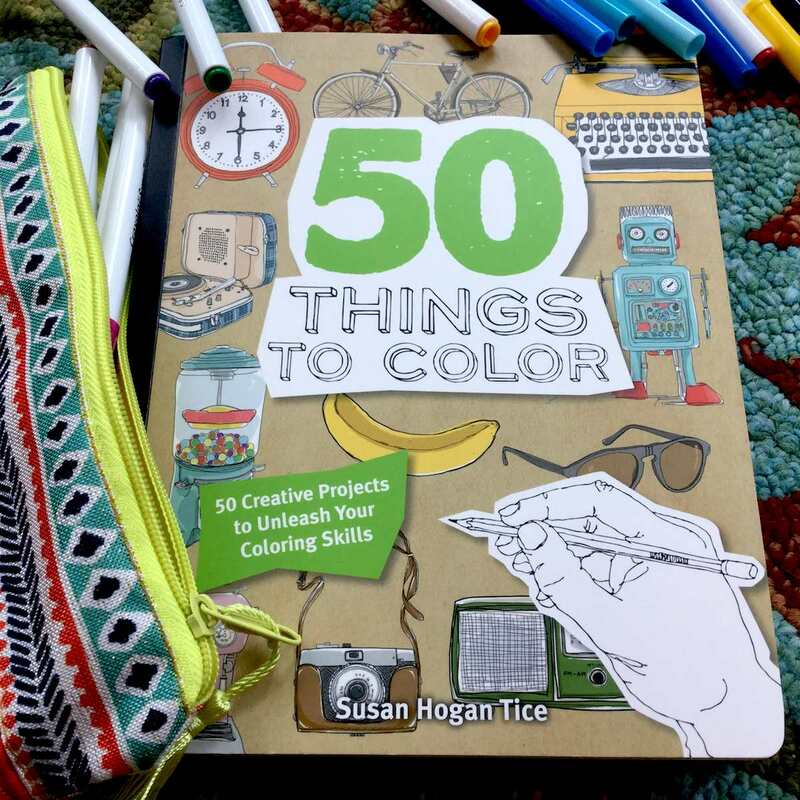 Well climb into your DeLorean and pick up a copy of 50 Things to Color. Appealing to your sense of nostalgia, the thick pages are filled with beautiful black and white drawings of typewriters, cassette tapes, and vintage toys. Those less sentimental (or younger) will enjoy the selection of quirky animals (a giraffe with an underbite) and edibles (decadent cupcakes, sashimi and sake). Of particular interest to those seeking stress relief are the two-page pattern spreads - slices of wood grain, a topographical map, a cityscape. Need to distract yourself from tomorrow’s epic client presentation? Try shading the intricate beads of pulp within the orange slices. If, instead, you’re hoping to decompress from the shouting match between you and your tween in the mall parking lot, I’d suggest the more gentle swoops of the floral wallpaper. Me? I have my eye on another record player. Last week on a particularly hot summer day my 12-year-old daughter and her friend decided to avoid the outdoors and spent the afternoon coloring the pages of Fantastic Cities. Not wanting to interrupt their chatter and flow as they filled in the intricate lines of artist Steve McDonald’s amazing urbanscapes, I waited until after dinner, then spent an hour coloring my own page. Fantastic Cities is a beautiful book of detailed pen-and-ink drawings of cities from around the world, including London, Paris, Toronto, Tokyo, San Francisco, New York, Istanbul and many others. And including some slivers of real places mixed with imaginative cityscape mandalas. 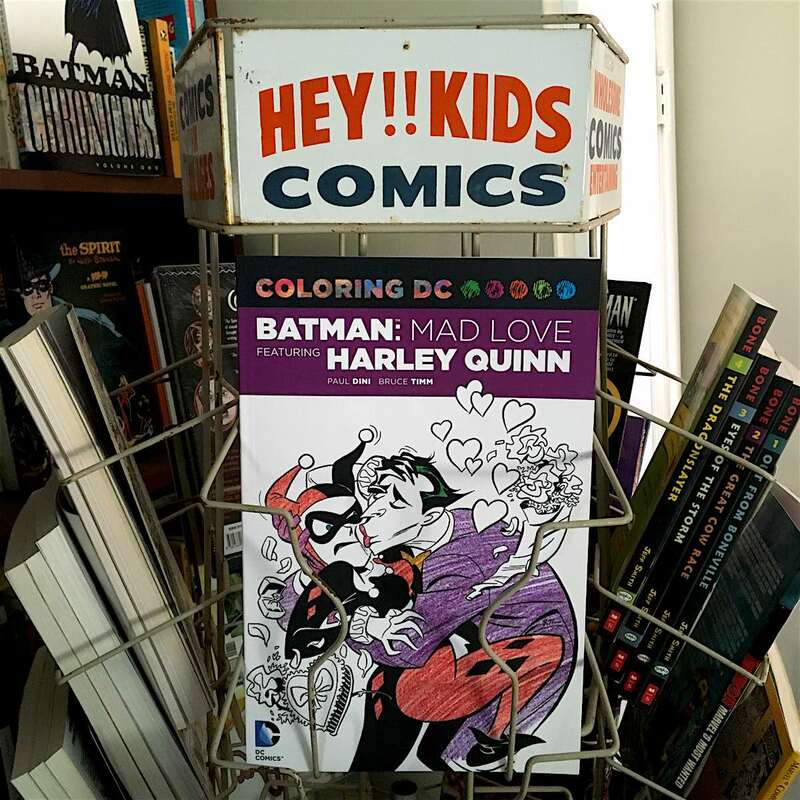 With books like this, coloring is as much fun for adults as it is for kids! 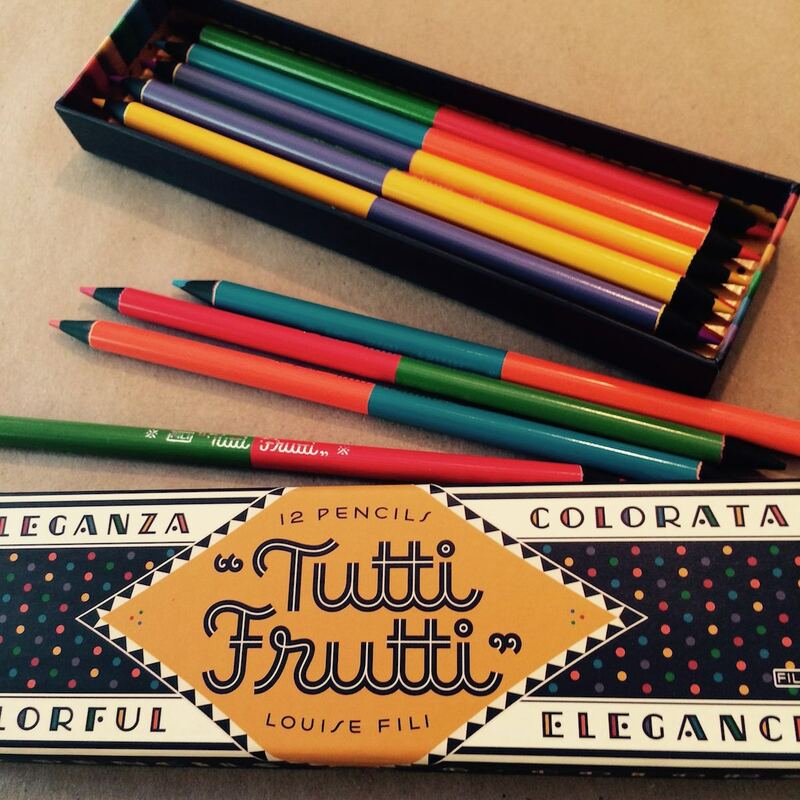 The colored pencils I used come from Tutti Frutti, with a box design inspired by Italian packaging. The set comes with 12 double-sided pencils with a total of 6 colors (red, orange, yellow, green, blue, purple). I’m not sure why they repeat colors rather than give us 24 different shades, but the feel when pressing color to paper is wonderfully smooth and buttery. Unlike a jumbo box of Crayola crayons, Tutti Frutti doesn’t supply you with a pencil sharpener, so make sure you have your own (an automatic sharpener works best).